Performance under pressure. 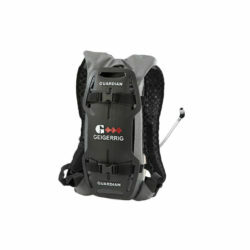 The RIG Cadence hydration vest holds your Geigerrig engine close to your back in a low profile design and firm placement. Use your Cadence for any and all activities with plenty of convenient storage for your phone, keys and essentials. 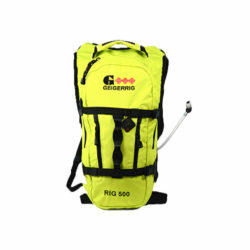 Move faster and go further with the RIG Cadence pressurized hydration pack. The RIG Cadence comes with a 1.5 liter reversible, top-rack dishwasher safe hydration engine protected by a lifetime warranty. The water stays close to your back for optimal balance and movement when performing at your peak. 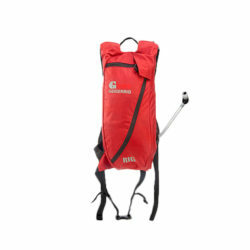 The poly mesh lightweight material fits with comfort and keeps the load in place. Built into the vest are several convenient locations to store your phone, keys and other essentials during any physical activity. The RIG comes filter ready with a FREE Aquamira Frontier Max Filter Casing ($15 value). Customize your Frontier Max with any Certified Series IV filter to make the ultimate hydration system.